They call her the "young miracle." A baby who was admitted to an Ebola treatment centre just six days after birth is now recovered from the virus. The infant was discharged from the treatment centre in Beni on Wednesday. "She went home in the arms of her father and her aunt," the ministry said. 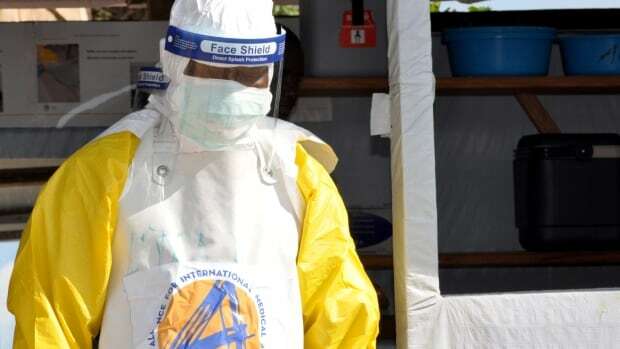 The World Health Organization also has noted that health centres have been identified as a source of Ebola transmission in this outbreak, with injections of medications "a notable cause." So far, more than 400 children have been left orphaned or unaccompanied in this outbreak as patients can spend weeks in treatment centres, UNICEF said. A kindergarten has opened next to one treatment centre in Beni "to assist the youngest children whose parents are isolated" there, it said. Health expert have said this Ebola outbreak, the 10th in Congo, is like no other as they face the threat of attack from armed groups and resistance from a wary population in a region that had never faced an Ebola outbreak before. Tracking suspected contacts of Ebola victims remains a challenge in areas controlled by rebels. And now, Congo is set to hold a presidential election on Dec. 23, with unrest already brewing.